The FDA revealed their proposed budget plan for 2020 and beyond in a press release published March 19, 2019. According to the statement, the increase in foreign food imports, shifts in consumer expectations, and rapid innovation in food tech have compelled the FDA to request additional funds from Congress in order to properly protect the U.S. food system. The FDA has nearly doubled the number of food safety investigations related to outbreaks in the past three years, thanks to their use of Whole Genome Sequencing (WGS) technology, which makes it easier to identify and track food pathogens. 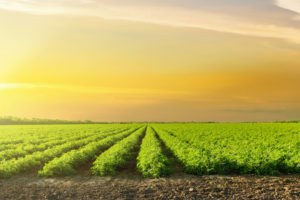 Additional funds would allow them to expand their use of WGS and invest in other technologies, such as blockchain, which would allow them to alert consumers more quickly in case of a food outbreak. The agency also wants to further streamline the premarket safety approval process for new food ingredients and substances. Naturally, for both of these objectives, they will need to take on more staff. The press release was issued by FDA Commissioner Scott Gottlieb and Deputy Commissioner Frank Yiannas. Gottlieb, who has been in office since May 2017, unexpectedly announced his resignation earlier this month. He intends to stay in office for about one more month. Releasing a budget proposal before leaving office is one way to ensure that his initiatives will remain in place after he leaves his post. 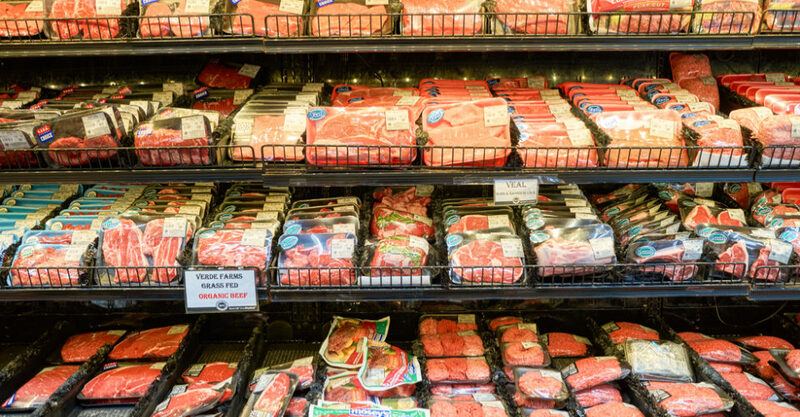 On March 8, 2019, the USDA released new food safety guidelines for meat processors . The guidelines, which have been months in the making, come as a response to the spike in recalls of meat products. In 2018, meat processors (including large corporations such as Tyson, Smithfield, Perdue, and others) announced a combined total of more than 25 food recalls resulting in the recall of millions of pounds of meat. Many of these recalls were announced out of fear that inedible materials, such as metal, plastic, or rubber, might be found in the products. Consumer advocates believe that the increased automation of the meat manufacturing process is the main reason for the increase in recalls. The more machines used, the greater the chance that “extraneous materials” might end up in your nuggets or beef patties. The new guidelines place strict emphasis on processors’ reporting those incidents to the Food Safety and Inspection Service (FSIS) within 24 hours. “Taking very prompt action is what’s really critical to the agency,” USDA Administrator Carmen Rottenberg says. FSIS is collecting public feedback on the new guidelines until May 10 of this year. In an interview with Vox, the three discussed the overly-romanticized image of cooking at home the way our great-grandmothers supposedly did: “You get fresh butter churned from the cow that was milked that morning, and everything is made using whole ingredients…[But] this is describing [the reality of a] small minority of women,” said Bowen. According to Bowen and her colleagues, our ancestors ate monotonous diets, often marked by scarcity. Not to mention the amount of invisible labor and anxiety women could feel when it came – and still comes – to feeding their families. Their new book, Pressure Cooker: Why Home Cooking Won’t Solve Our Problems and What We Can Do About It, takes us into the kitchens of nine women as they try to feed their families the best way they can. Fact Check: Which Country Consumes the Most Meat? Global meat production has increased nearly five-fold since the 1960s – from 70 million tons per year to more than 330 million tons in 2017. That increase is due in part to the overall increase in the world’s population (from about three billion people in 1960 to more than seven billion today). Another reason is that we’re richer than ever before. The global average income has more than tripled in the past 50 years, and there is a strong correlation between higher income and increased meat consumption. But which countries are leading the pack in meat eating? According to the most recent UN Food and Agriculture Report, the U.S., Australia, New Zealand, and Argentina are the greatest carnivores, with the average person consuming between 100 – 150 kilograms of meat per year. The report found that rapidly growing countries, such as China and Brazil, experienced some of the greatest jumps in meat consumption. The average person in China, for example, ate barely five kilograms of meat per year in 1960. Today, that number has ballooned to more than 60 kilograms. As more evidence exposes the environmental consequences of meat production, it will be only a matter of time before governments craft more targeted food legislation. NYC Mayor Bill de Blasio, for example, announced Meatless Mondays for NYC public schools starting in the fall of 2019. “We’re expanding Meatless Mondays to all public schools to keep our lunch and planet green for generations to come,” he said at a news conference.